RENTALS FOR THE 2018/19 SEASON CAN BE RETURNED AT ANY TIME NOW! PLEASE MAKE NOTE OF OUR BUSINESS HOURS SO YOU DO NOT MAKE THE TRIP TO TOWN AND FIND US CLOSED!! OUR 2019/20 JUNIOR RENTAL PROGRAM WILL KICKOFF IN SEPTEMBER 2019, if not sooner! Make sure to sign up for our newsletter so you can be informed of early bird specials! 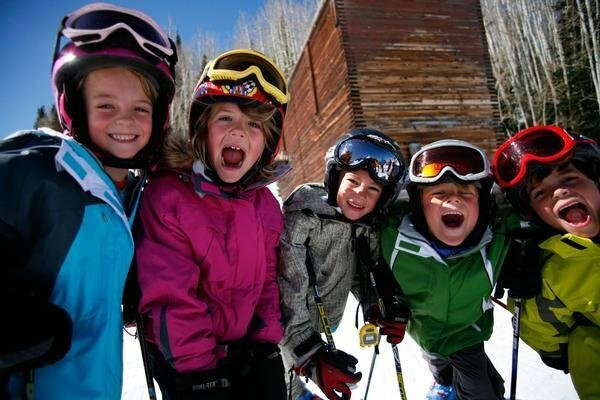 The Ski Company Ltd Junior Rental Program is the best value in the area for your growing child! Beware of 'Buy In' programs (which could mean upfront costs in excess of $300 per child and either the store goes out of business or your child ages out of the program before he/she is done growing!). We are size based, not typically age based and we are a straight-forward rental program. 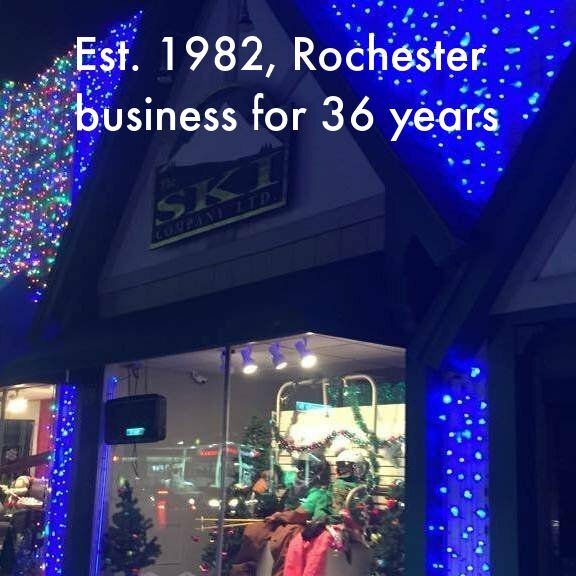 We have remained a steady downtown Rochester business for over 36 years and rent approximately 1600 pair of skis a year to our loyal customer base. We are here to help encourage a LOVE for SKIING and want to make it as easy and affordable as possible for our local families! Once the program kicks off, you can stop in anytime to get your skis for the season! Your Junior Skier's measurements are taken by one of our specialists, they are offered a great selection of skis & boots to choose from, and then will take the skis home today! Your Junior Skier will retain possession of the ski package for the entire season, and return them in the Spring! Skip the lines and the high prices at the ski hill! This program is extremely popular so be sure to come in soon to get set-up before the snow flies! Equipment rentals typically begin in September with equipment due back in the store no later than May 1, 2020*. Our Junior Rental Program is PRIMARILY SIZE based, not age based. Maximum shoe sizes are Adult Mens Size 9, and Adult Ladies Size 9. Our Maximum height is approximately 5'4" (our tallest rental ski is 150cm). Pricing is based on availability and/or customer preference. This is a Junior SKIER program ONLY. Unfortunately, we do not offer a similar program for Junior Snowboarders. I'm sorry, we are unable to REFUND monies for Seasonal Rental Package(s) so please be sure you will use them for the entire season. We will accept equipment returns prior to May 1st. *Late returns are subject to daily late fees. A valid credit card is required at contract initiation.